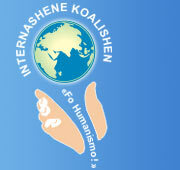 1-2 May 2005 the IX conference of the International Coalition "For Humanism!" was held. The subject of the conference was "The system crisis of the commercial civilization and humanistic transformation". The conference opened the prospects of a new cooperation level with like-minded people. This year the conference attracted attention of some representatives of Russian politic structures which is the sign of interest of some persons in certain political movements and parties for the ideological platform with humanistic direction. 17 program speeches were presented on the conference. Later in a free discussion the participants determined the ways of further cooperation, the decisions and declaration of the conference were worked out. Both the members of the Coalition which have been participating in our activities during many years and new participants spoke at the conference. The program speeches by Sergey Semenov, Wolfgang Fischer, Vladimir Bogomolov, Alexey Elistratov, Rudolf Kuhr, Andrey Terentyev, Dmitry Ivanov, Sergey Shatokhin, Ted Trainer, Oxana Bourkina were of especial interest. Before the conference the organizing committee informed widely the universities of Russia and the CIS, the cultural and public institutions, committees and administrations, president structures. Public figures, official persons and all interested in humanistic ideas were invited to participate in the conference. The information about the Coalition and its conference appeared on the informational boards of many Russian cities, in regional mass media, in international internet space and in an international periodical covering 90 countries. Individuals and organizations from different parts of the world sent greetings and letters of moral support to the conference. Savitri Bhavan, a coordinator from Auroville, reminds us of a passage from Sri Aurobindo's book "The Ideal of Human Unity". In his book Sri Aurobindo examines ways in which the nations of the world might be able to come together into a cooperative harmony to ensure a better future for all of us, and for the Earth itself. He identifies Humanism - or the religion of humanity - as one of the forces at work in the modern world which could support such a trend. He says that if this takes a spiritual turn, it can be very helpful in contributing to the needed changes. The Coalition got also the letter of support and informational support from Croatian Humanistic Union. The organizing committee thanks everybody having taken part in the conference preparation and invites for further collaboration. The next conference, the conference 2006, is planed to be held traditionally in May. To place the materials of the conference in the web-site of the Coalition and publish them in a special edition. To address creative IT competent people with an appeal to collaborate in developing the humanistic prospects and technologies of transition to the social formation which would exclude the profit principle. To accept Esperanto as one of the languages for the international contacts of the Coalition. To get into contact with humanists-esperantists. To keep working for the restoration of the Humanistic Party of Russia. To work out the plan of actions between the conferences.